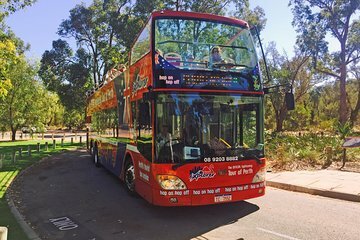 Start your Perth hop-on hop-off bus tour at any of the 11 stops, where you’ll board the double-decker bus for easy transportation around the city. Just hop off when you wish to check out the attractions that interest you, and when you’re on board, listen to recorded narration about the city’s major sights. Perhaps admire the Victorian Gothic architecture of the Town Hall, go shopping on Hay Street or Murray Street in the central business district, or visit the Perth Cultural Centre, the Museum of Western Australia or the Heath Ledger Theatre, named in honor of the late actor and native Perthite. Don’t miss Kings Park, the city’s crown jewel that boats a lovely view of the Swan River and downtown skyline. At the Botanic Gardens, you can wander past 3,000 species of plants, including Western Australia wildflowers. The full tour loop lasts about two hours if you don’t get off the bus. When booking, select either a 24- or 48-hour ticket to suit your schedule; during your valid time period, you may use your ticket for discounts at several attractions around the city. You also have other tour options you may choose from to enhance your hop-on hop-off experience. See the Itinerary section for details about the Triple Pass, which includes a boat cruise on the Swan River to Fremantle, WA’s historical port city just across the river from Perth, as well as a Fremantle hop-on hop-off tram tour. The 24-hour hop-on hop-off tour gives you a full day and night to explore the sights from the hop-on hop-off bus. The 48-hour hop-on hop-off tour gives you two days to explore the sights from the hop-on hop-off bus. The Triple Pass includes the 48-hour hop-on hop-off ticket. A boat cruise on the Swan River to Fremantle and a Fremantle hop-on hop-off tram tour with full commentary are also included. This flexible option can be completed all in one day, or enjoyed over two to three days, depending on your itinerary. To complete the tour in one day, you’ll catch the 9.15am hop-on hop-off bus at Barrack Street Jetty and tour Perth and Kings Park. Afterward, board the 11:30am boat cruise on the Swan River from Barrack Street Jetty to Fremantle. Fremantle trams will meet you at the cruise dock and take you around this lovely and laid-back port town, passing historic sites including Fremantle's famous market and prison, docks, heritage buildings and quaint streets. You get to hop on and off at your leisure. After enjoying time in Fremantle, you’ll return to the dock at 3:45pm to catch your boat back to Perth. If you have more than one day, you can explore Perth and take the Swan River boat cruise to Fremantle another day (please note: it does not need to be on consecutive days).  The Deluxe Pass includes all of the above plus entrance to the historic Fremantle Prison and lunch at Fremantle’s scenic and lively Fishing Boat Harbour. The UNESCO World Heritage-listed Fremantle Prison was built in the 1850s by convict laborers and was in use up until 1991. It’s a must-see attraction in Fremantle. When you’re ready for a break, head to the Fishing Boat Harbour for your included fish & chips lunch and relax while enjoying the charming atmosphere of the harbor. If you like fish & chips, you’ll be in the right place! The Deluxe Pass must be completed over 2 days, which do not have to be consecutive. A great bus to see the main attraction in Perth. Friendly driver tour guide with clear commentary. Its great for the first time visitor to Perth. Easy hop on and hop off stops.It will be better if the last bus can end later in the evening like around 8pm. Overall great bus to take.Love it! Always difficult to find a Bus Stop your location. Their maps on-line are awful! They only run on the hour, so it's a long wait if you miss one. Wouldn't do it again!!! Quick overview of city if you have short time in Perth. A good way to see the city and good value for money! Also includes trip over to Freemantle, and a trip around that city as well. It is always a good way to see a lot from a city. Highly recommended! This was my introduction to Perth my first day here, and a very good one. Buses run once each hour, and I elected to stay on the whole trip to get an overview before getting off at one of the stops. Our driver gave an interesting commentary on the city. The Hop-on- Hop-off bus tour is good for tourist who visit Perth for the first time, gives you a introduction to the tourist attractions around town.